I was in Ben's at Pavillion KL this evening, and when I'm in Ben's, I usually order the same things but decided I try something different today. This salad was really good. 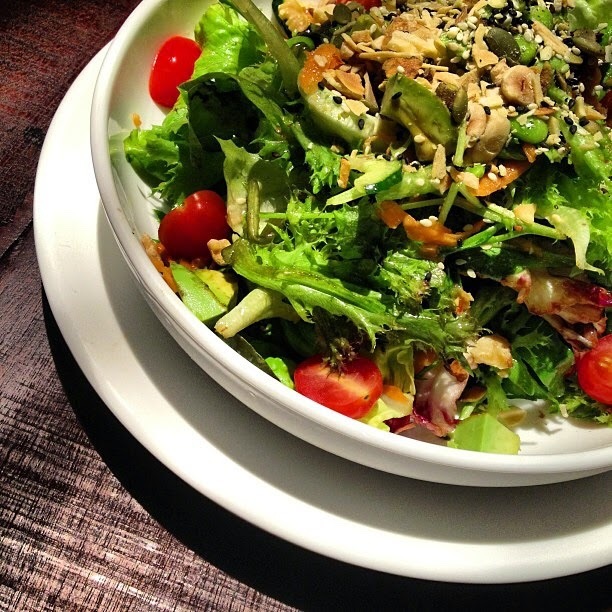 It has edamame, nuts, avocado, cherry tomatoes, lettuce and my all-time favorite arugula leaves all in an absolutely delicious dressing. A must have. 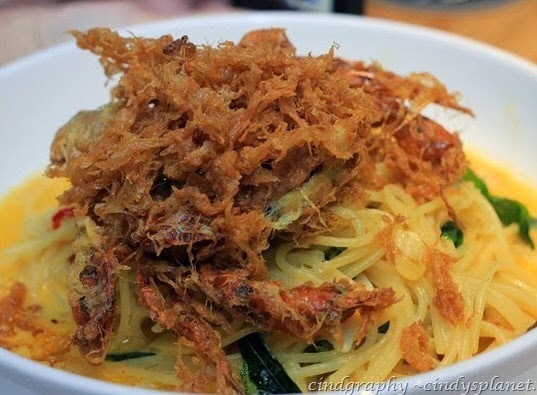 I need to stay away from seafood but the combination of crispy soft shell crab and spaghettini with chili flakes and curry leaves was very interesting. I'm glad I ordered it. It was very, very good.